I have been #1 in the nation in real estate sales of all United Real Estate agents for the last 2 years. I am an expert in Residential and Commercial Sales, Foreclosures, Short Sales, and Property Management. 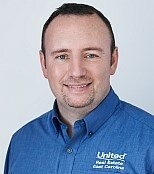 I own United Real Estate offices in Greenville and Jacksonville, NC. I was born in Kinston, NC. I graduated from NC State University with a BS degree in mechanical engineering in 1998. After college I worked for 7 years managing test programs for new product development and for 2 years designing forklifts for Hyster-Yale while selling real estate part time. In 2007 my tremendous success and growth in real estate allowed me to go full time real estate sales. Since that time, I have been one of the top producing agents in real estate sales in my market. If you are looking to get top dollar for your listing or need help finding the perfect home at a great price I can help! Born in Buies Creek, NC, I moved to Greenville to attend East Carolina University. During college I worked for one of NC’s top real estate teams as a Team Marketing Assistant and Listing Coordinator. 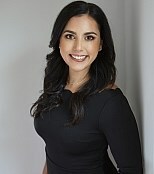 After graduating with a degree in English and a minor in Communications in 2003, I decided to take my passion for Real Estate one step further and chose to start my own real estate company, Jennifer Jenkins Realty. Dan joined the company in 2006 and after 10 years of successfully owning and operating our own firm, we joined the United Real Estate franchise and opened URE East Carolina in 2014. Dan and I have been married since 2004, we have a daughter Scarlett, and a son Joshua. We are active members of the Oakmont Baptist Church and enjoy supporting local sports teams. I am confident that my experience in real estate and marketing will help me to best serve you! I am here only to educate you on the process, YOU make all the decisions and decide what is most important.